Hi Ya’ll! 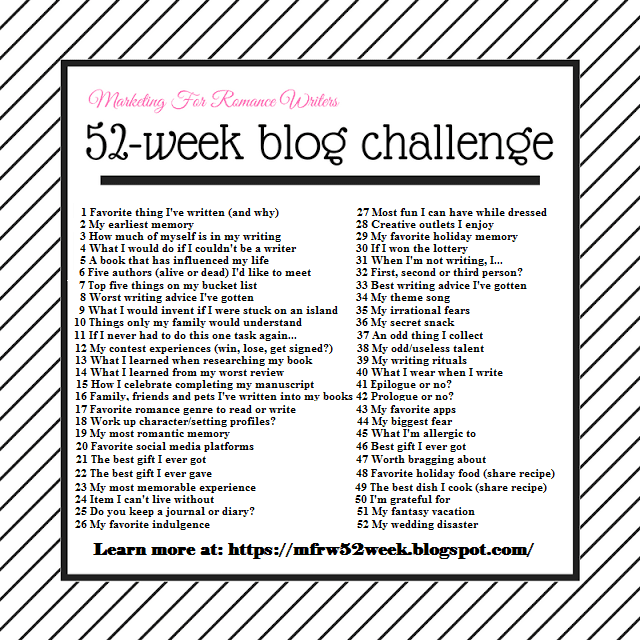 Its a new Year and we are back with a new MFRW 52-week Blog Challenge. Welcome to week one. Our topic is our Favorite Book we have written and why. This is like saying why you love one of your kiddos more than the other. I love all the stories i have written so far, even if they sit in the unfinished folders, or ready to self-edit folders. I wrote Luke’s Dragon for a children’s charity anthology. I did not get paid for it, though we could also publish the book on our own. At the time I was with a publishing house and they wanted to publish it so I agreed. I have now gotten my rights back and Luke is Indie. 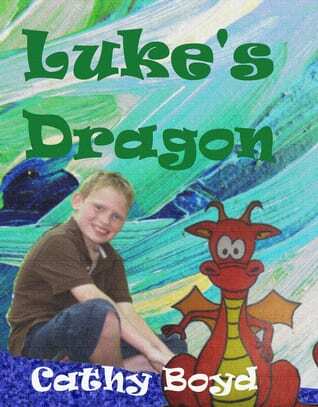 I based Luke’s Dragon loosely on a time when a tornado had come through our town leaving a lot of the children afraid of storms. I named it after my Nephew Luke ( with his family’s permission of course). He is also my cover Model. The story is a fantasy with dragons, and wizards, and lots of fun, though it also has a lesson objective of why not to be afraid of the storms (i hope). The book is for children 8-13 though I got mostly adults liking it. I have also been told some younger ones have enjoyed listening to it being read, though it’s not a picture book. I am considering giving it a facelift with a few pictures one of these days and revisiting Dreamland as well. Luke’s brothers and sister all want their story too. I had loads f fun writing this book since I could be a kid and let loose with my imagination. Writing children’s books are lots of fun. They are faster to write and don’t have to be so fact-based or require the research for items like a regular book. Let’s go see what books the other authors chose as their favorites and why. It’s great that you have a family member on your cover. I have one writer friend who managed to get all of his children onto one cover. Thanks. I had my Daughter on a cover for a Paranormal I was doing but the pictures are so grainy that i may end up buying covers. Hello, again, Cathy! Thanks for sharing! Oh fun for you and Luke to be featured that way. I bet his siblings do want their own books as well. You can maybe do a set of stories. That would be an extra special treat for all involved. Yes I promised them books and hope to have them this year. It would be nice to have for tier birthdays but two are this month LOL> Luke is set in Dreamland and all books will be as well. It is hard to choose one book kiddo over another. You do a great job with your 52 week challenge. Thank you. I really enjoy it. Glad to see you back for this year’s challenge. I bet it was fun to be able to let your imagination run free with Luke’s Dragon. Your nephew is a cutie! Thank you, Robin, I enjoy the challenge. Now Luke is all grown up and a senior.